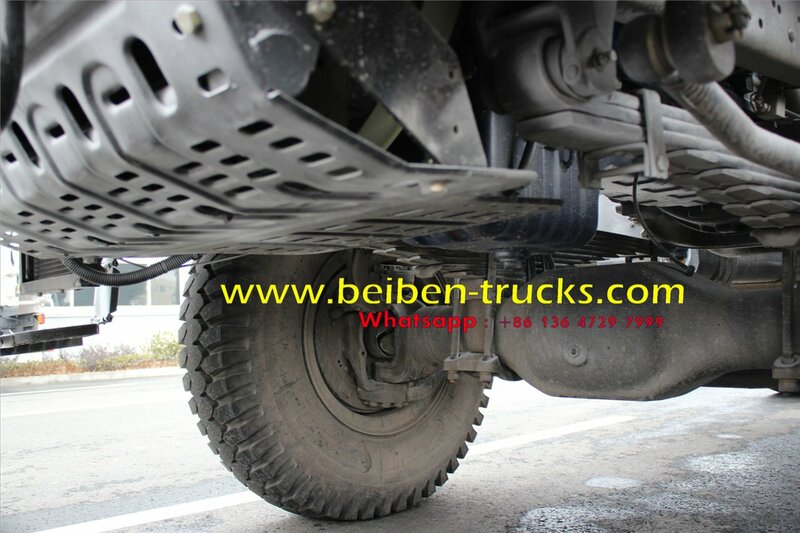 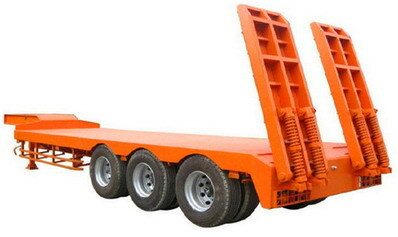 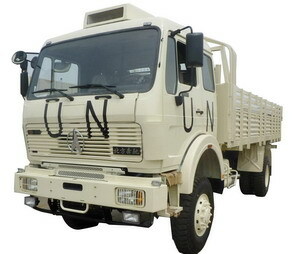 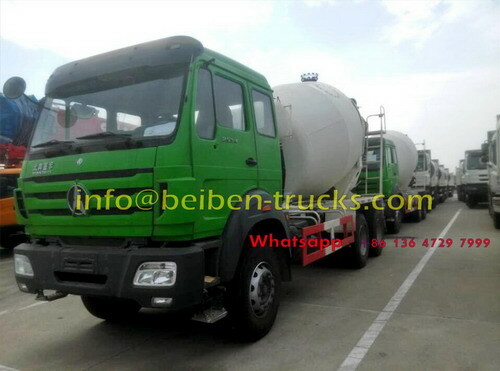 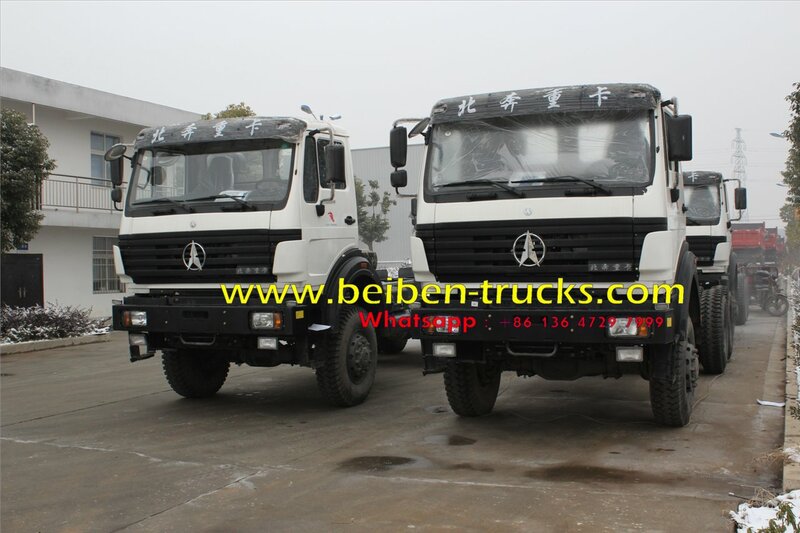 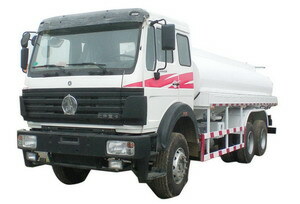 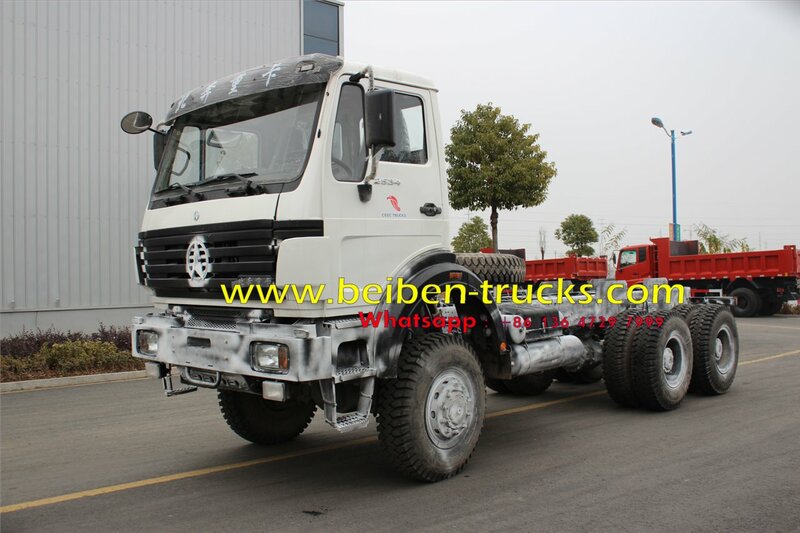 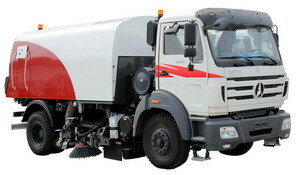 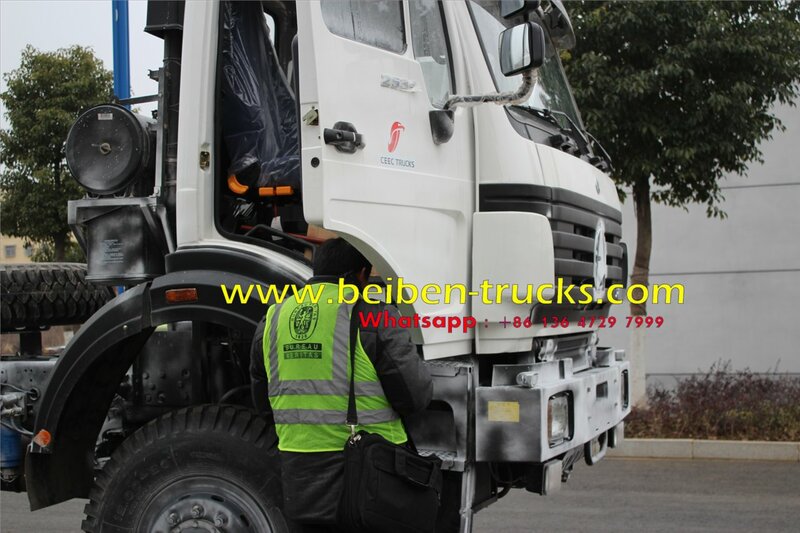 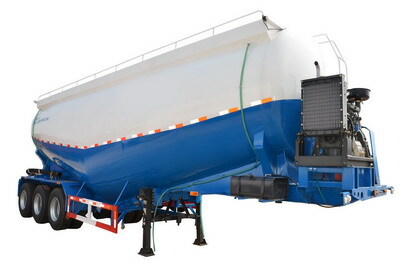 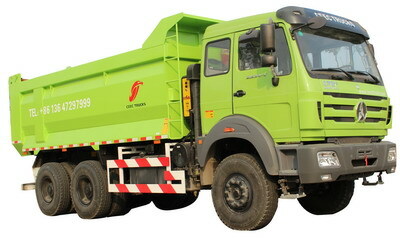 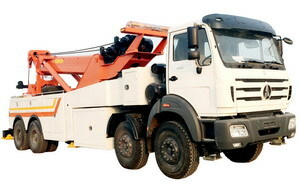 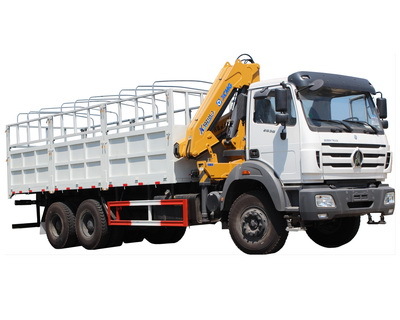 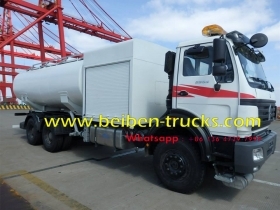 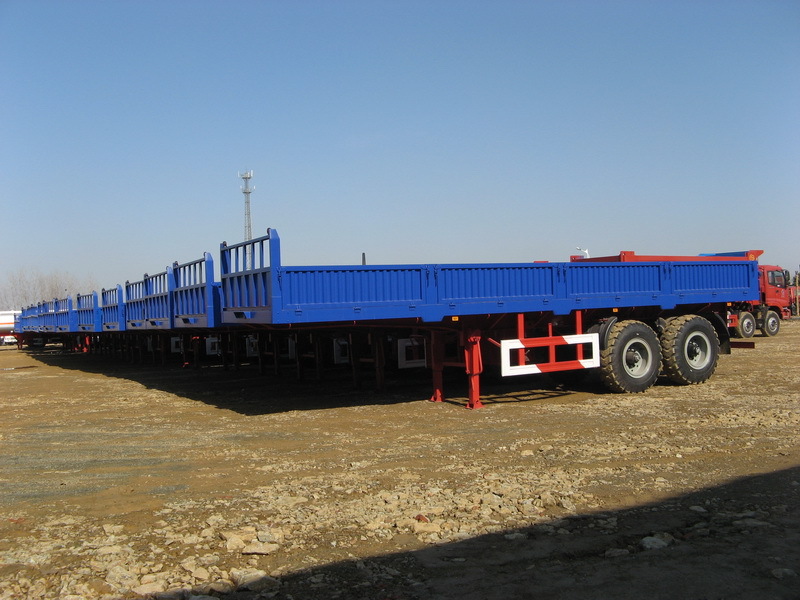 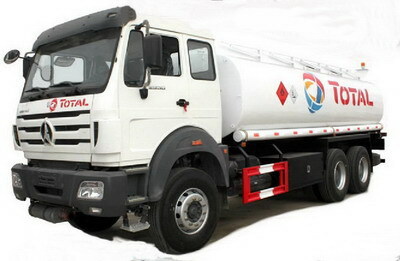 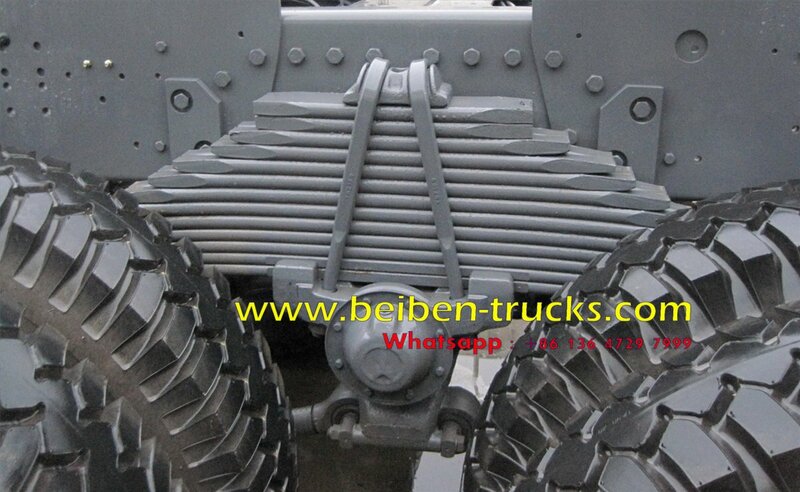 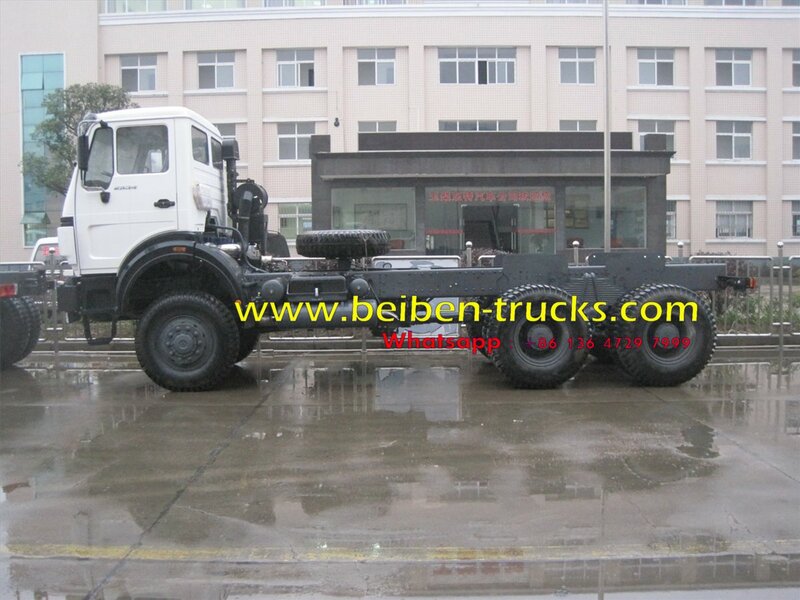 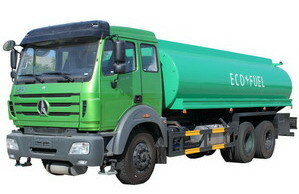 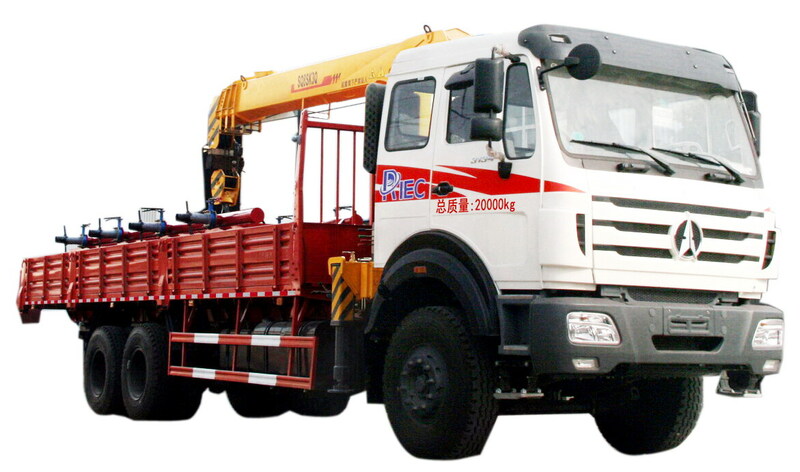 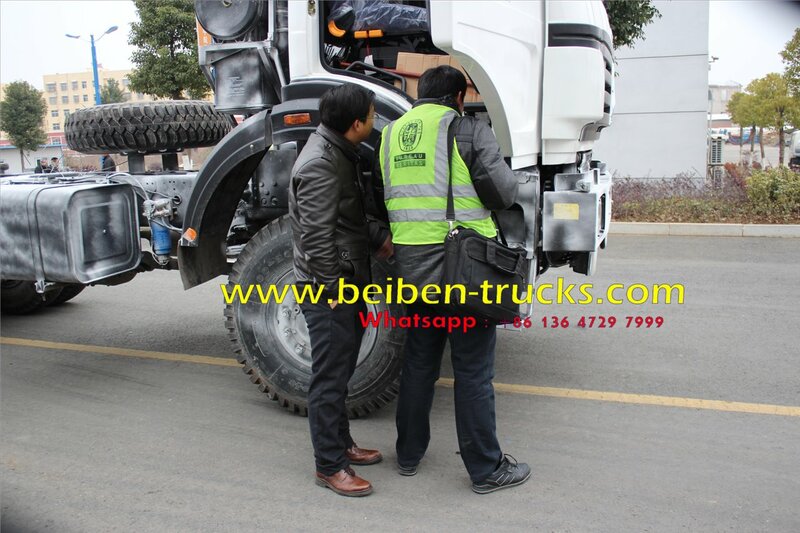 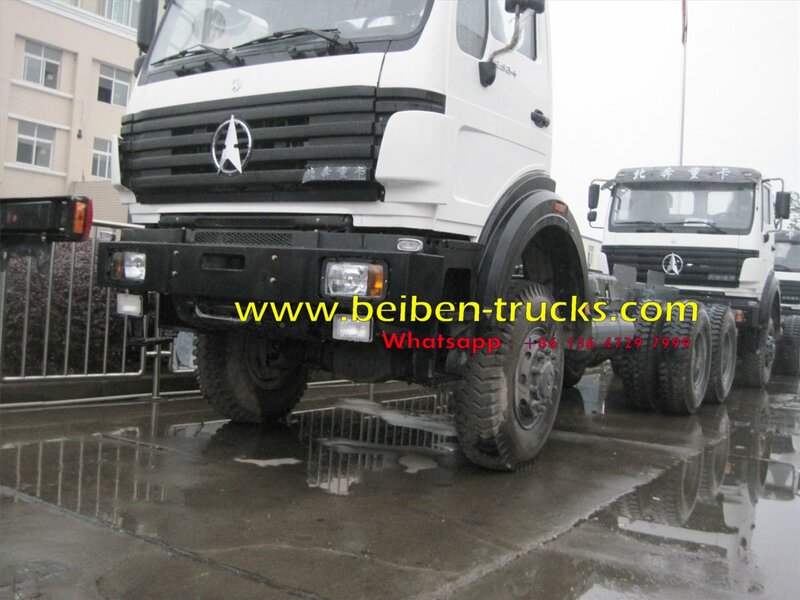 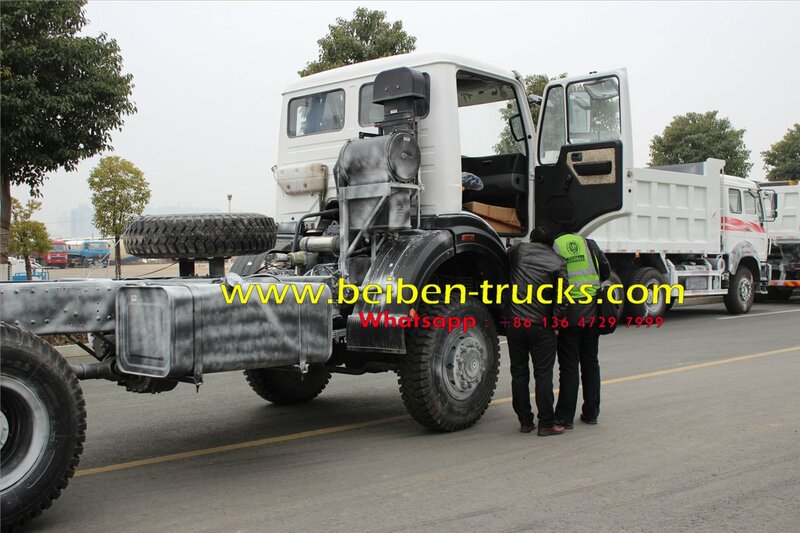 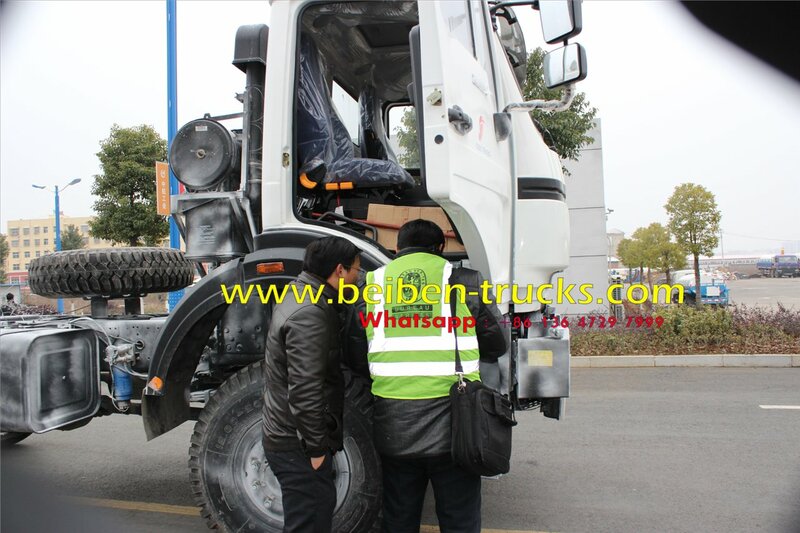 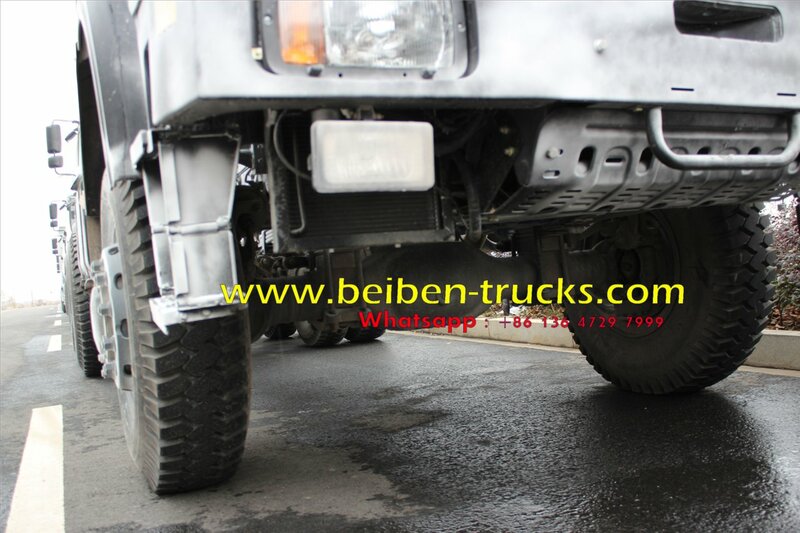 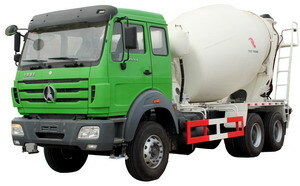 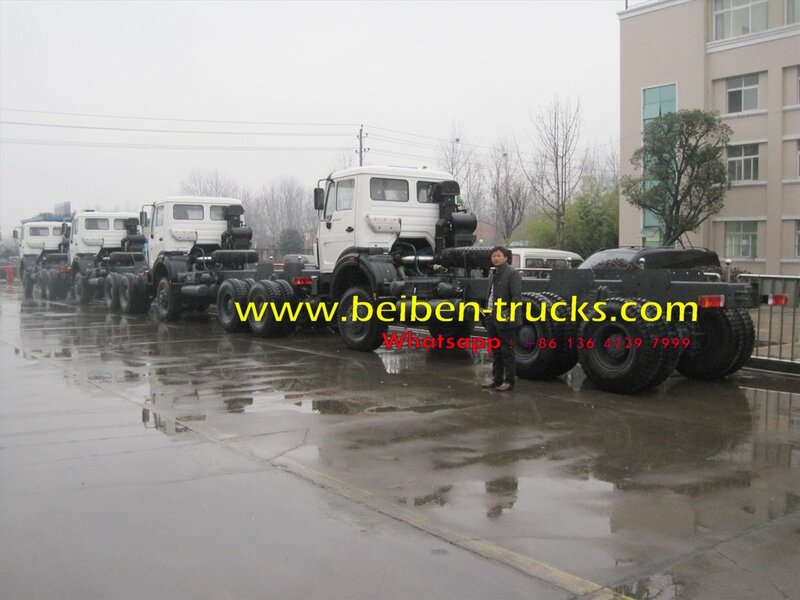 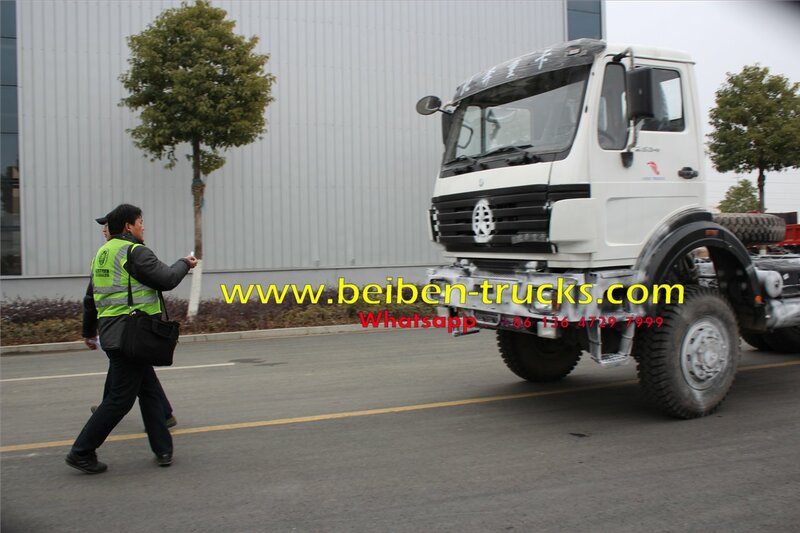 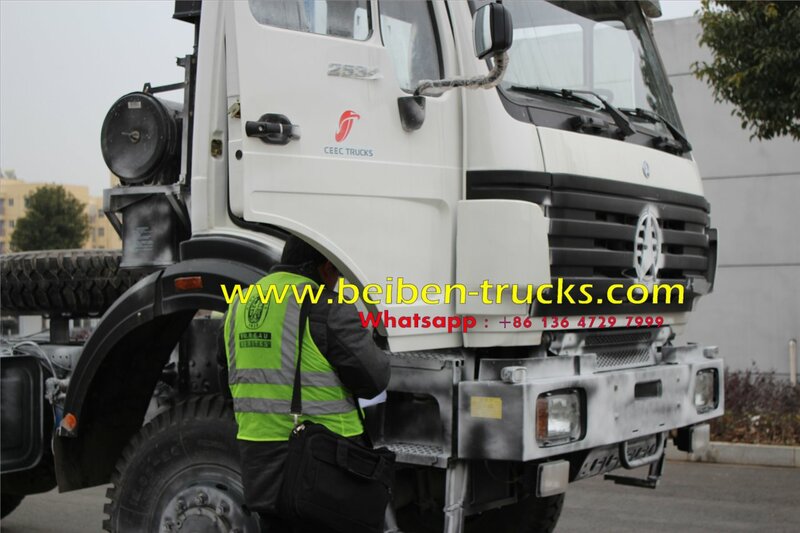 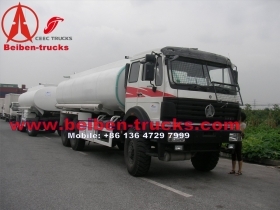 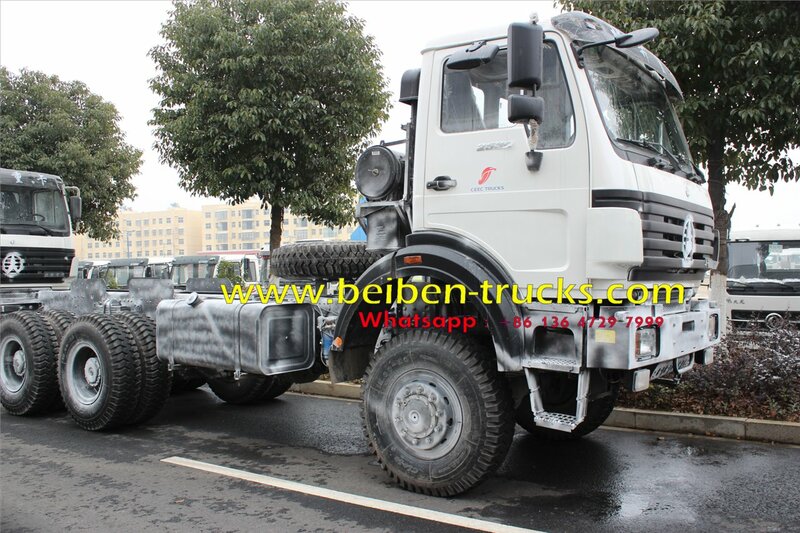 Best beiben 6 wheel drive truck supplier in china, we have more than 10 years on beiben 6 wheel off road military truck supplying, such as beiben 2631 military truck, beiben 2534 military truck, beiben 2634 military truck. 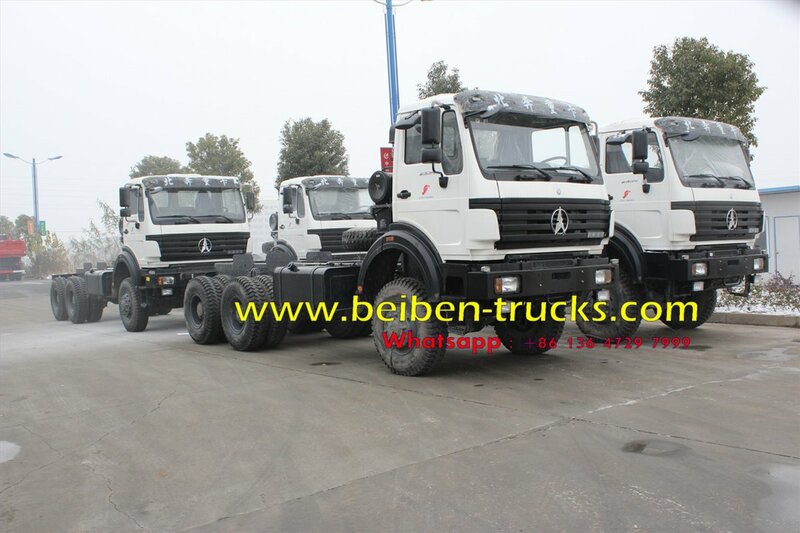 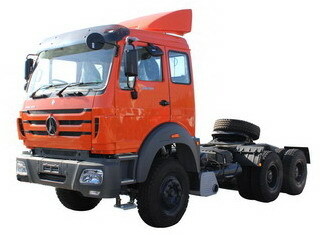 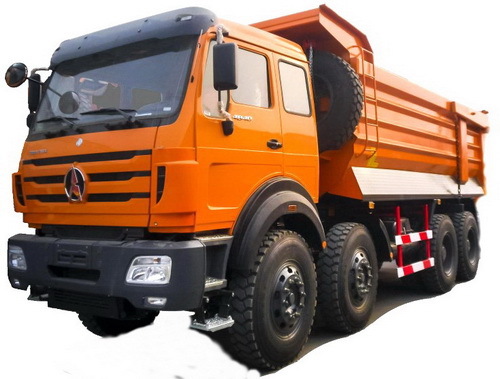 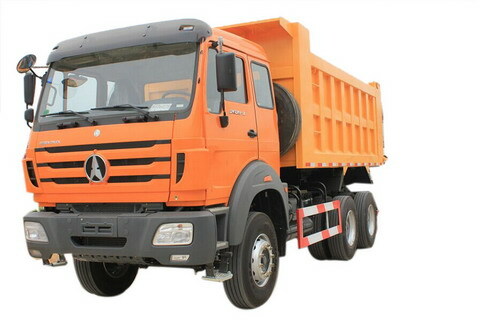 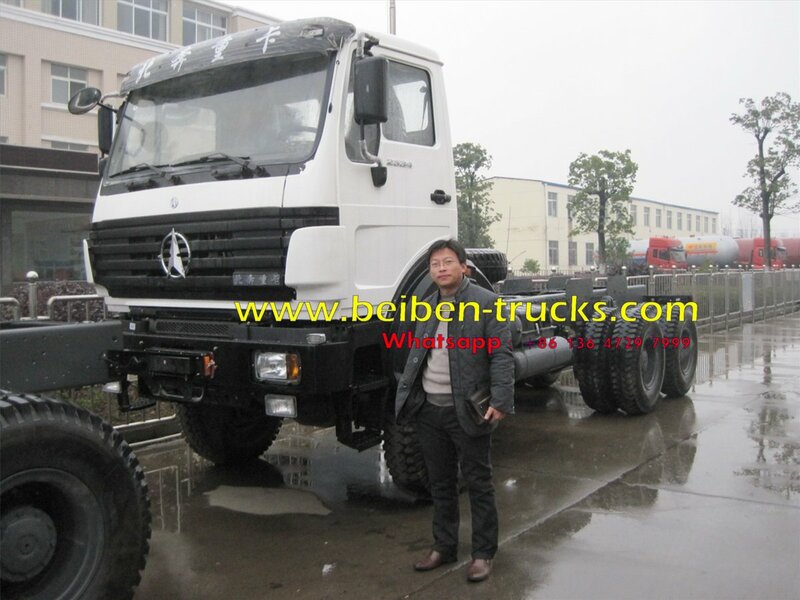 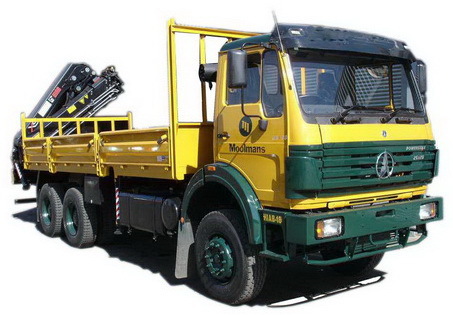 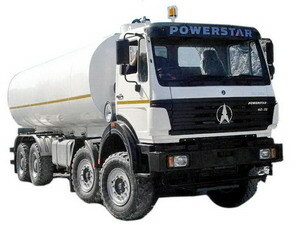 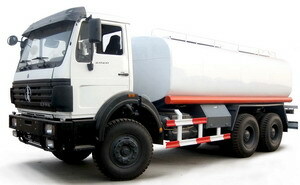 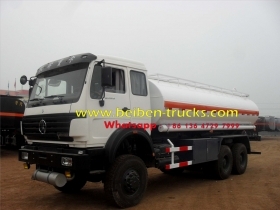 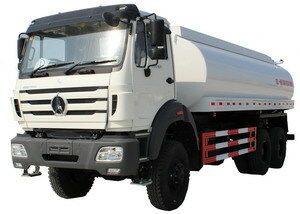 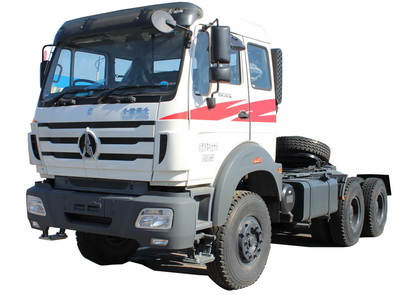 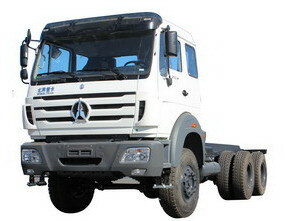 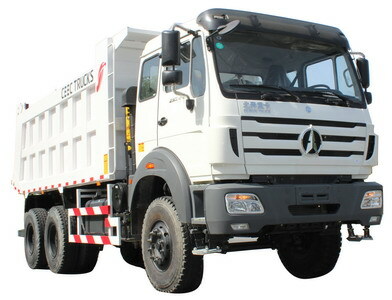 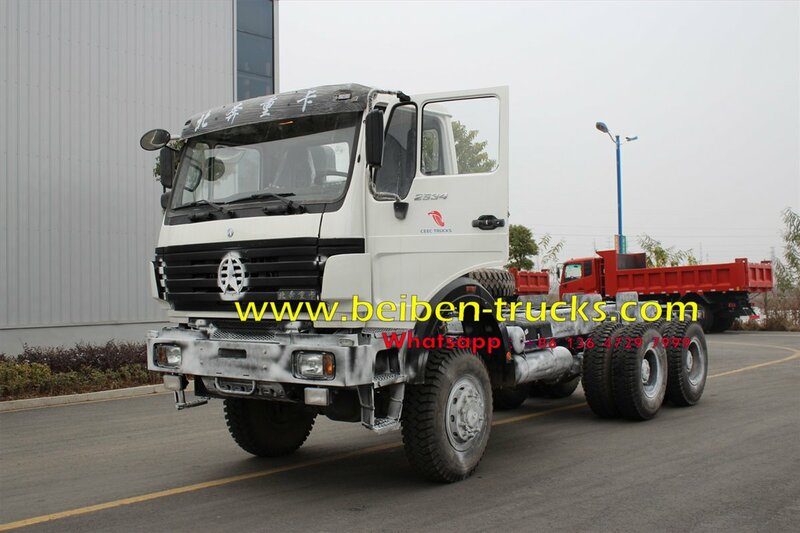 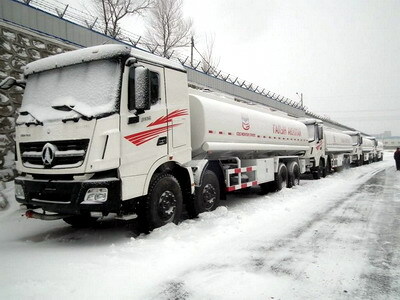 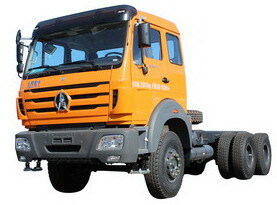 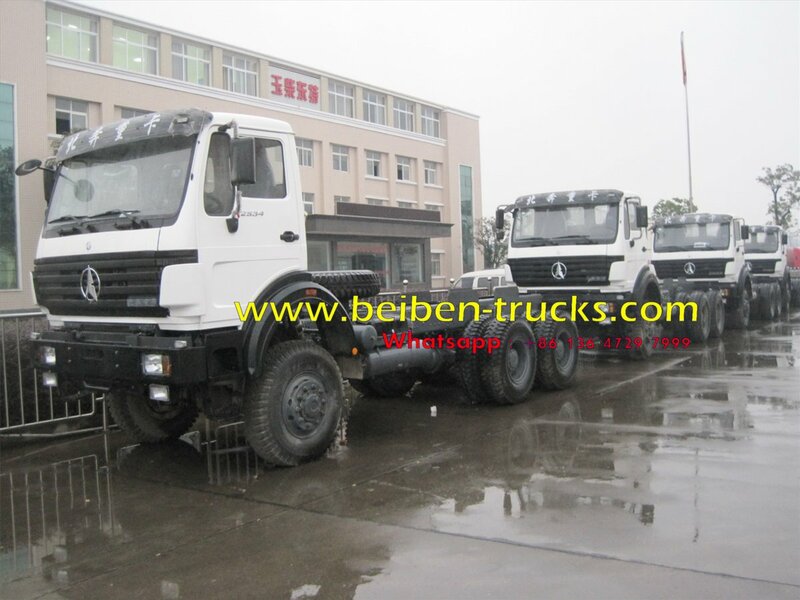 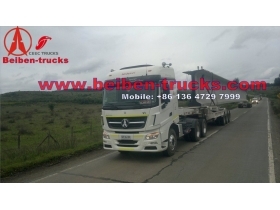 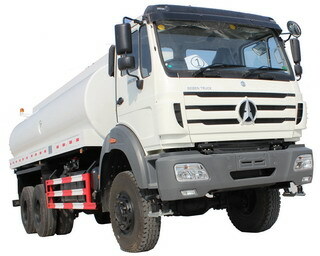 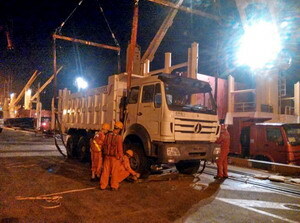 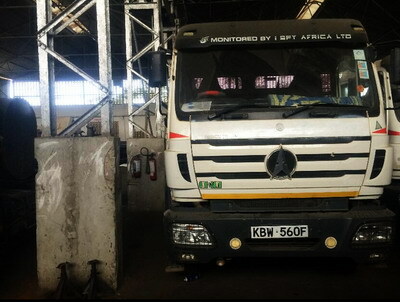 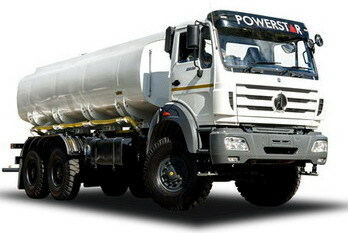 All north benz 6 wheel drive truck from our plant will have guaranee more than 12 months, we have professional engineer to make full solution for all the beiben 6*6 military truck, beiben 4 wheel drive trucks and beiben 8*8 drive trucks. 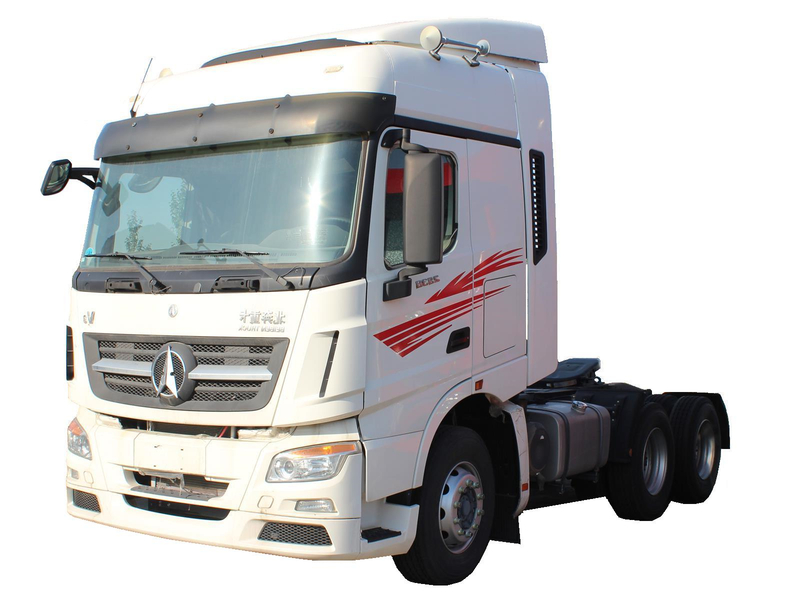 WD10.340 Diesel 4-stroke direct injection engine, 6-cylinder in-line with water cooling, turbo-charging & intercooling EURO 2 engine.